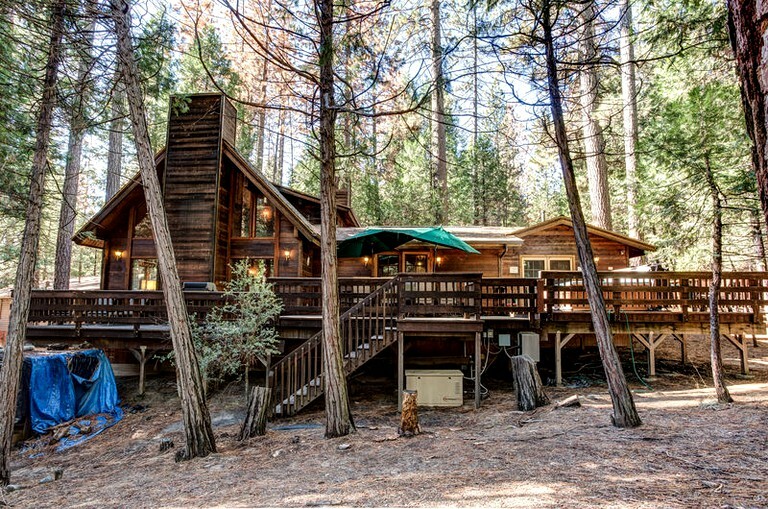 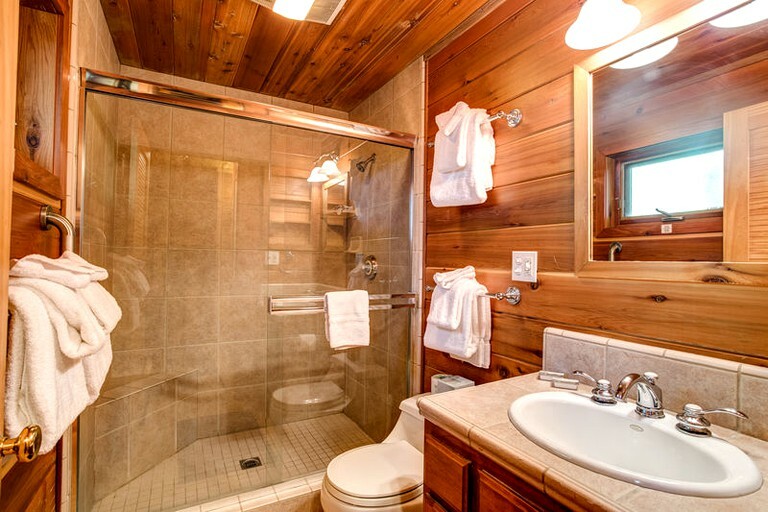 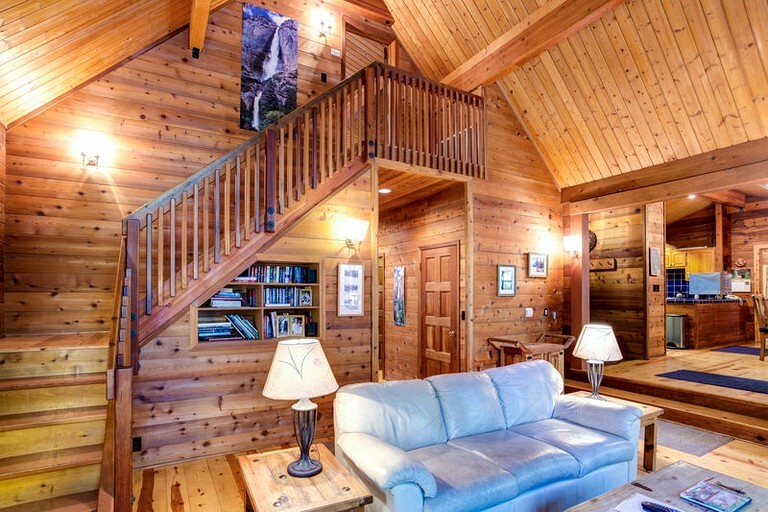 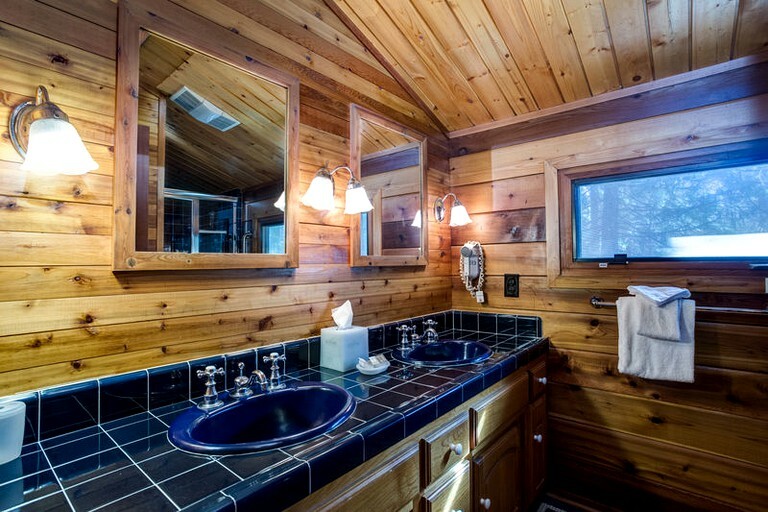 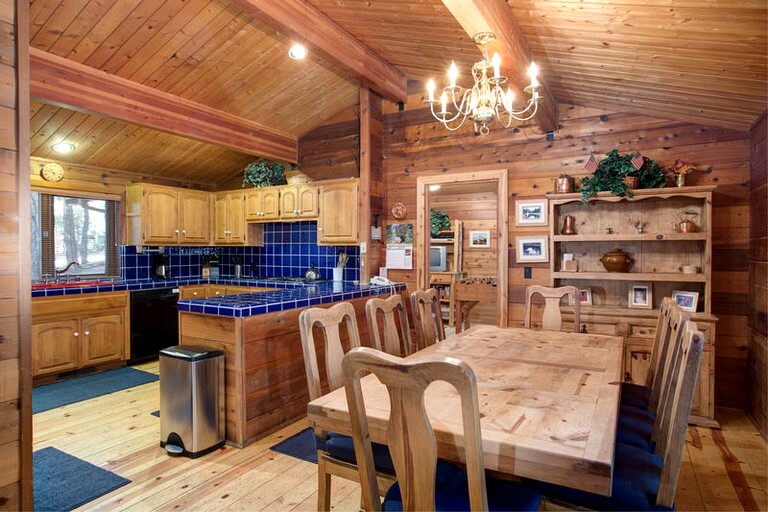 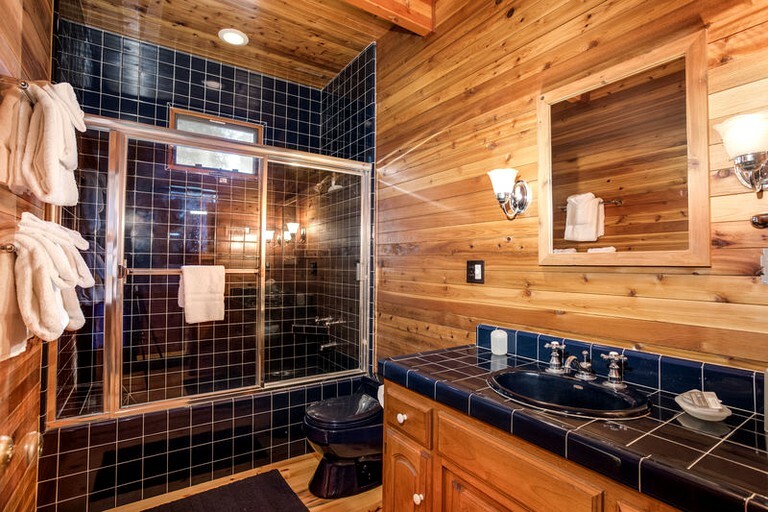 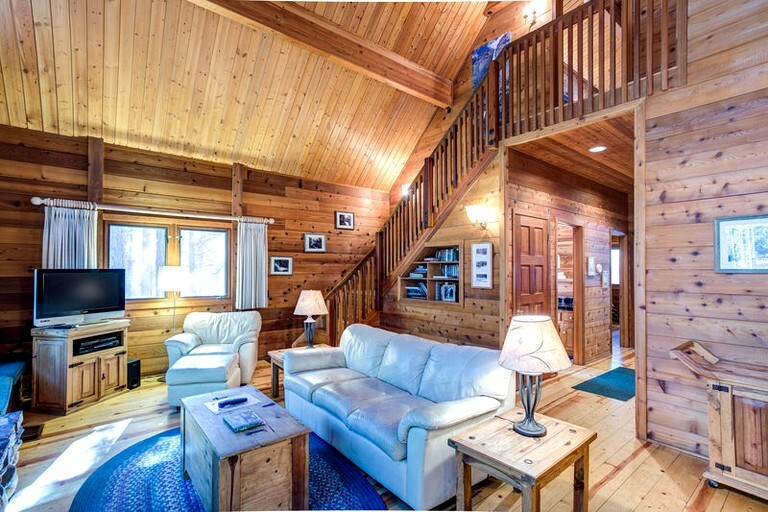 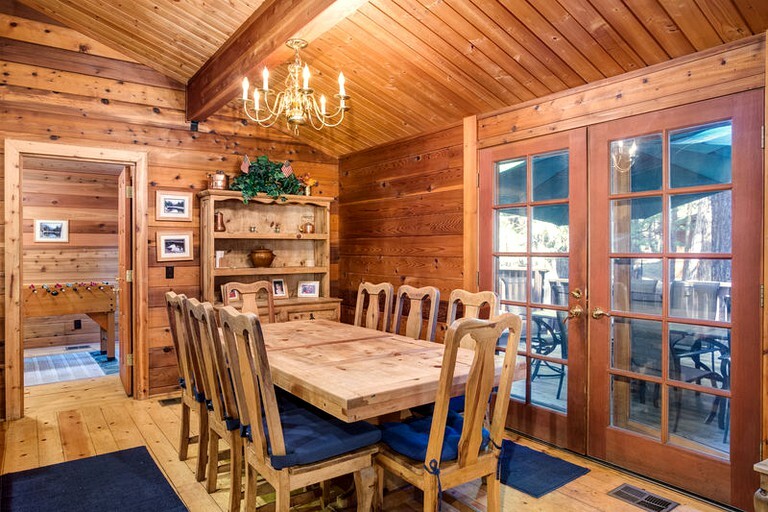 Guests will love this upscale cabin rental for groups! 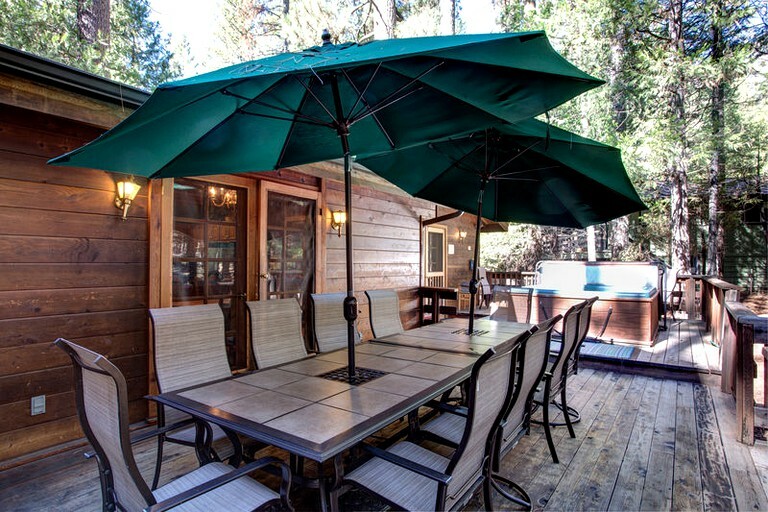 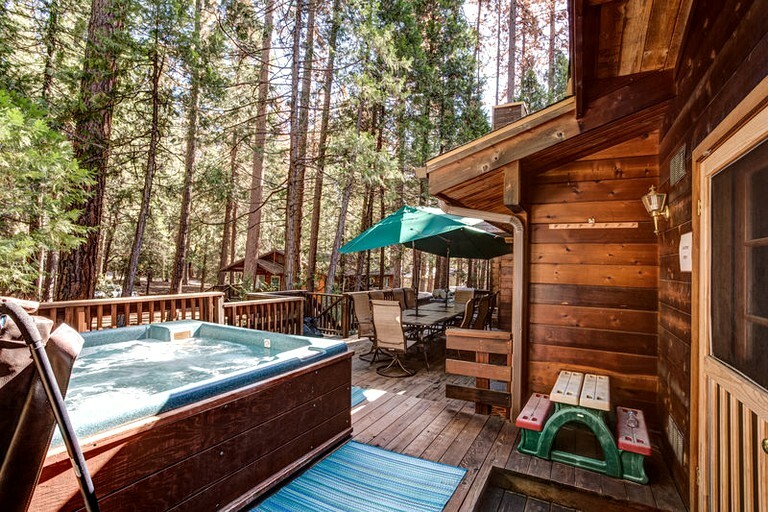 This pet-friendly accommodation features a hot tub and is in Yosemite National Park, California. 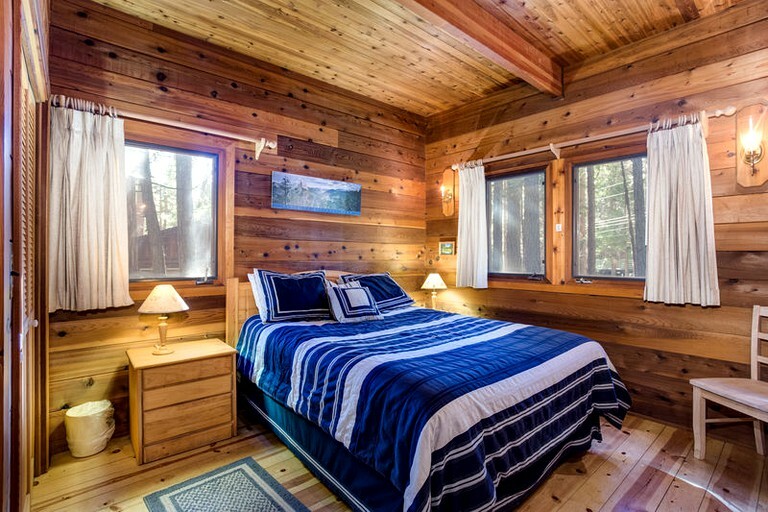 Sleeping up to eight guests, there are four bedrooms and three bathrooms. 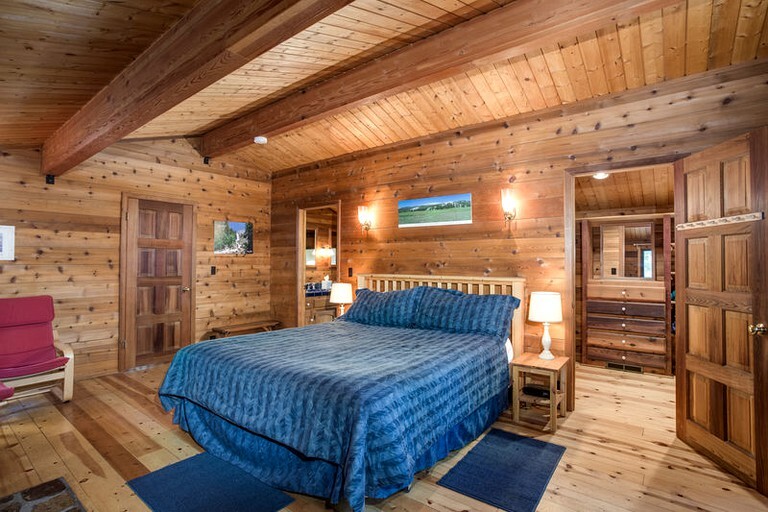 The stunning master suite provides complete luxury with a king-size bed, a fireplace, and a full bathroom. 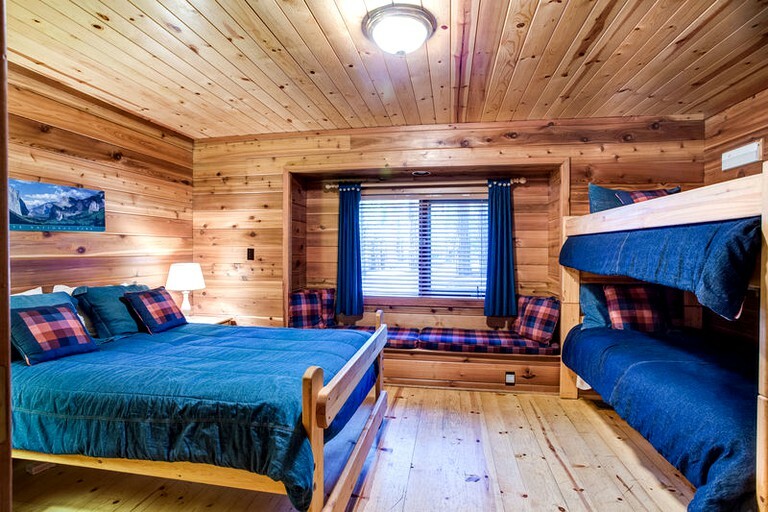 Two bedrooms have plush queen beds while the third room has a double bed and a set of bunk beds. 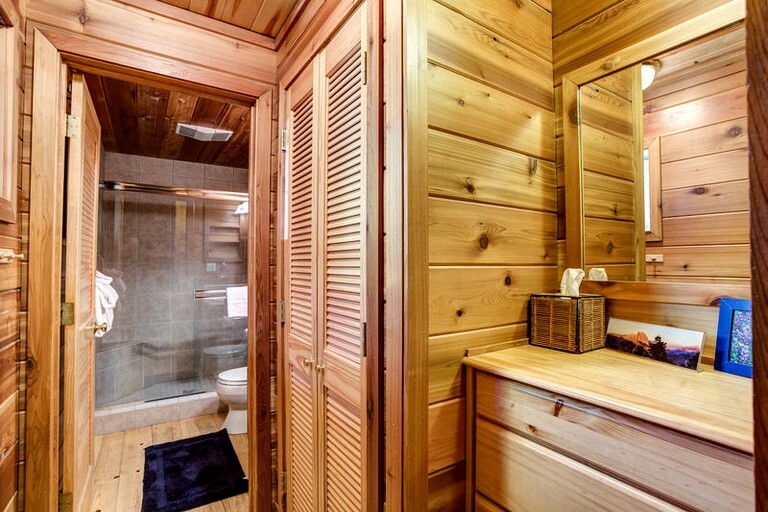 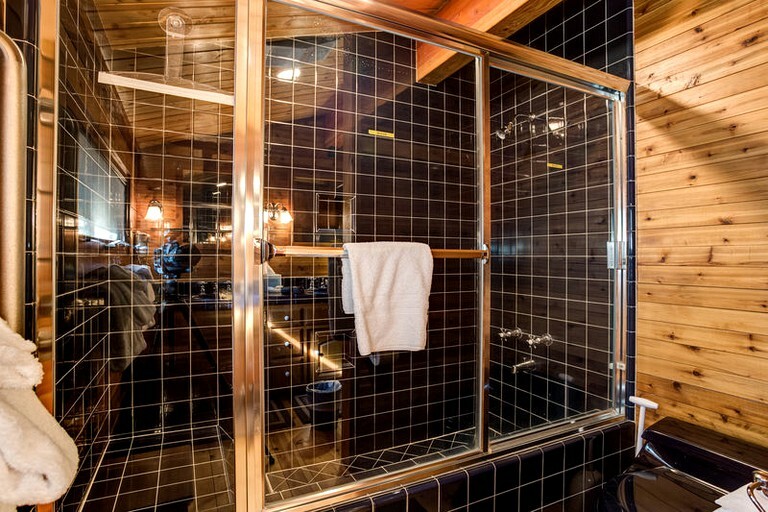 The bathrooms are modern providing large walk-in showers. 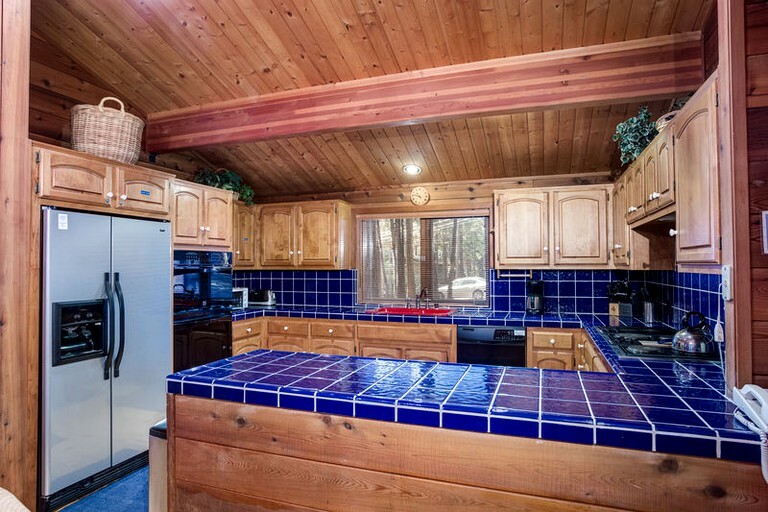 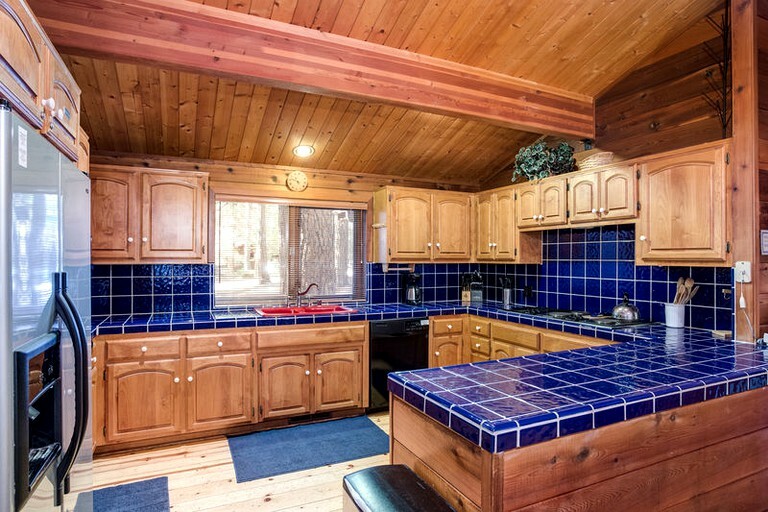 The cabin has a gourmet kitchen, including a garbage disposal and dishwasher. 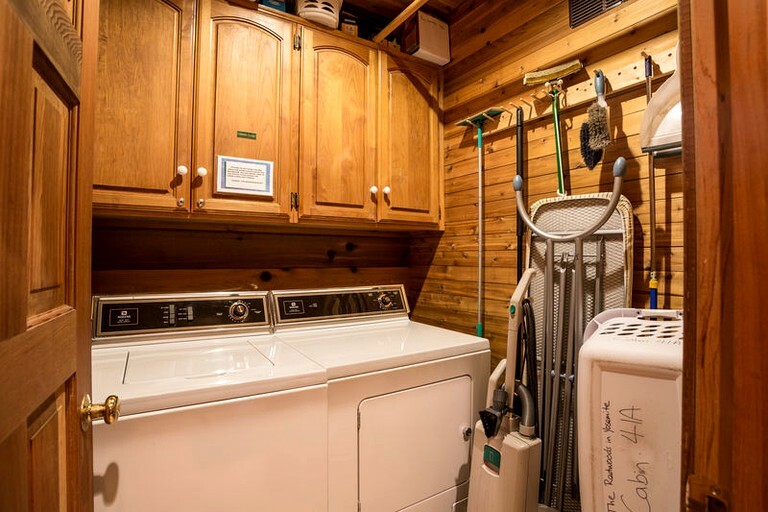 It also has a washer and dryer and guests will be provided with linens and towels. 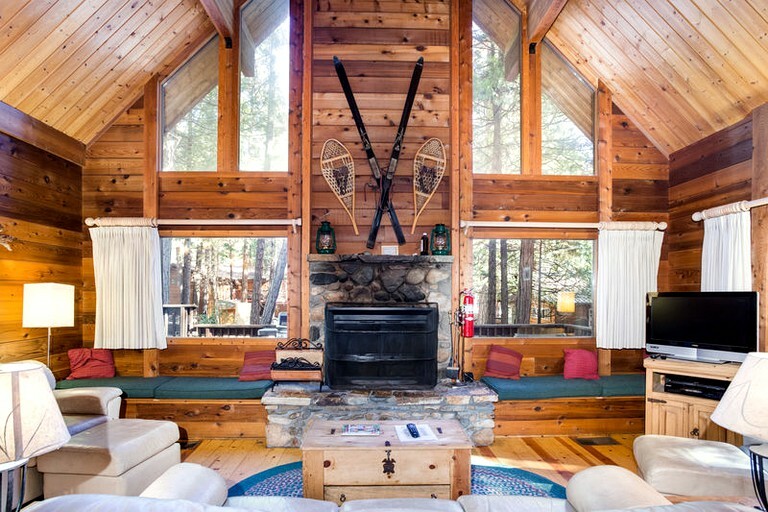 The living room has a fireplace with wood provided in the winter, heating, a satellite TV, DVD and VCR players, plus Wi-Fi. 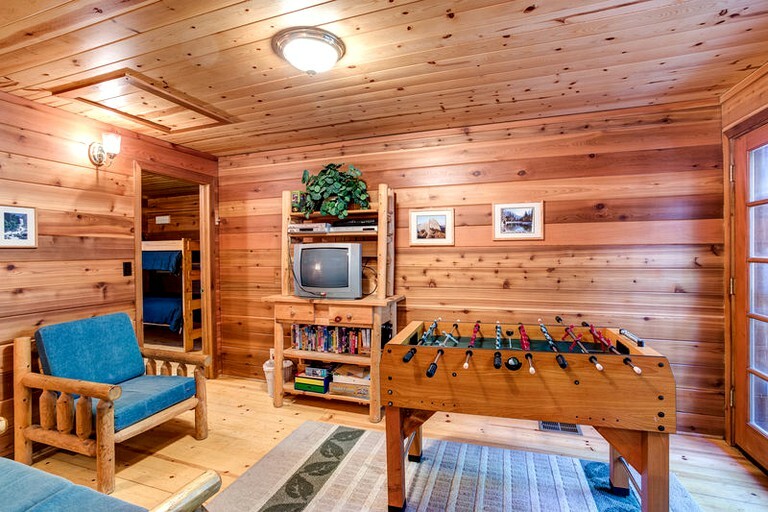 The games room includes a TV, DVD and VCR players, and a Foosball table. 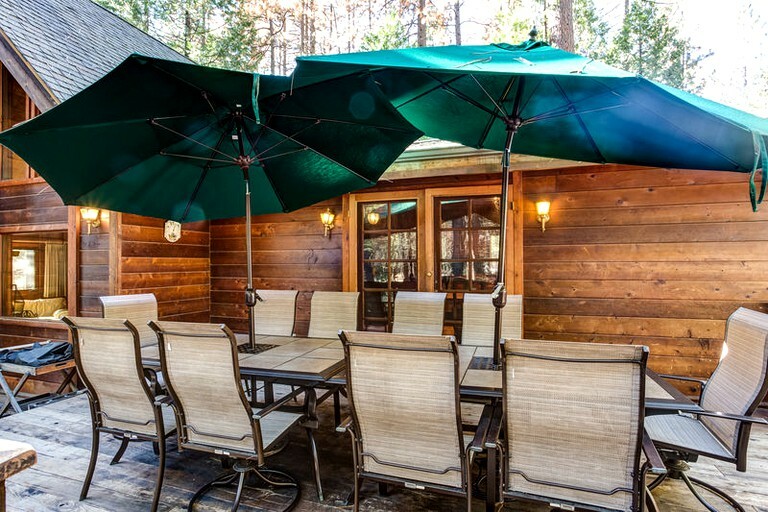 The back deck has two picnic tables and chairs with umbrellas, lounge chairs, a gas BBQ, and a hot tub. 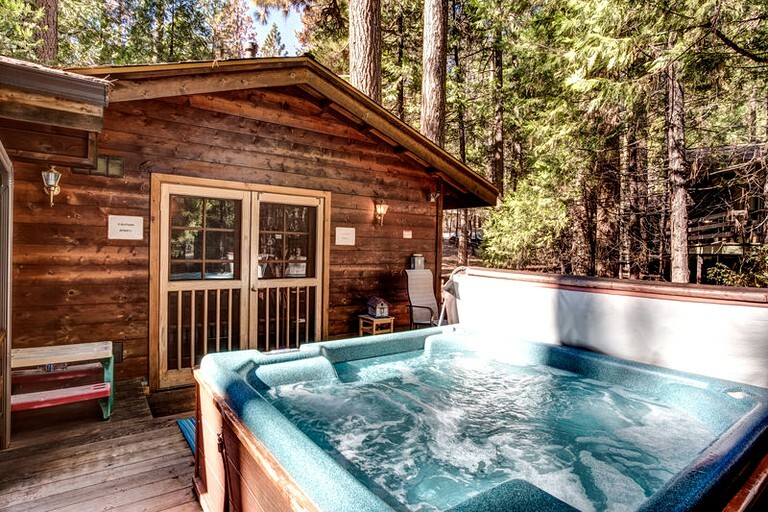 Surrounded by nature, there is a plethora of activities to keep every kind of guest entertained. 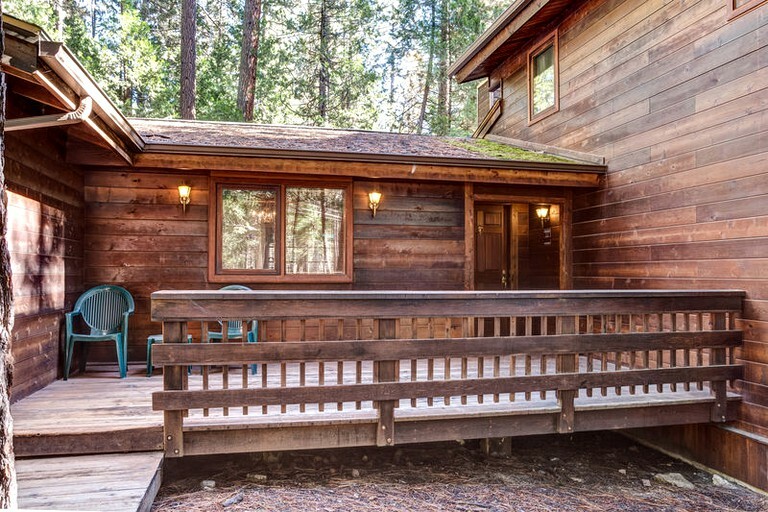 From hiking along the Yosemite Falls trail to mountain biking up some of the surrounding peaks, there is plenty to do. 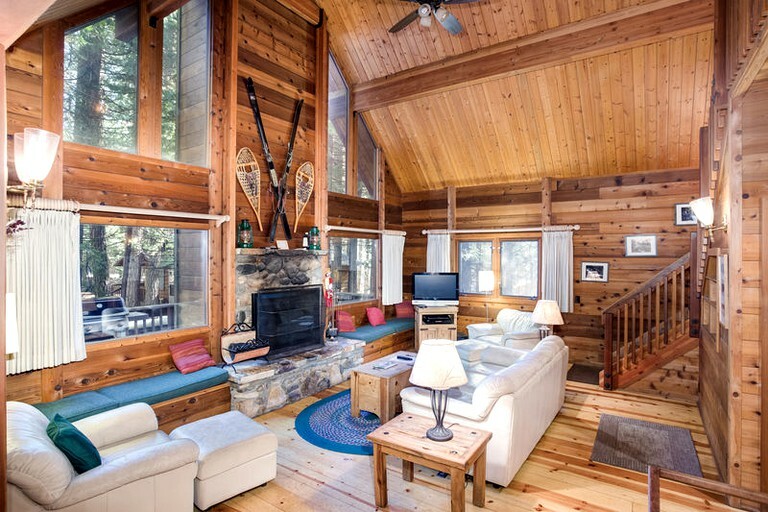 Watersports include fishing, rafting, and swimming, and in winter, guests only need to head a few miles away to find some great ski slopes. 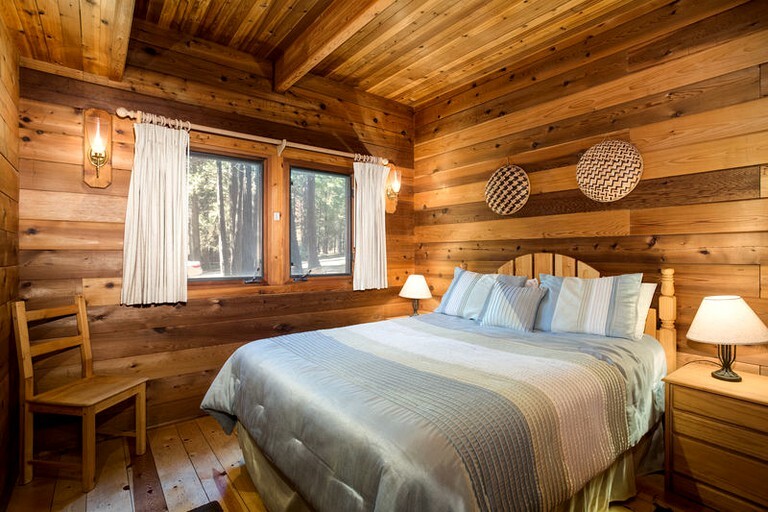 Those looking for a more relaxing stay can head out to some of California's famous wineries, there's something for everyone. 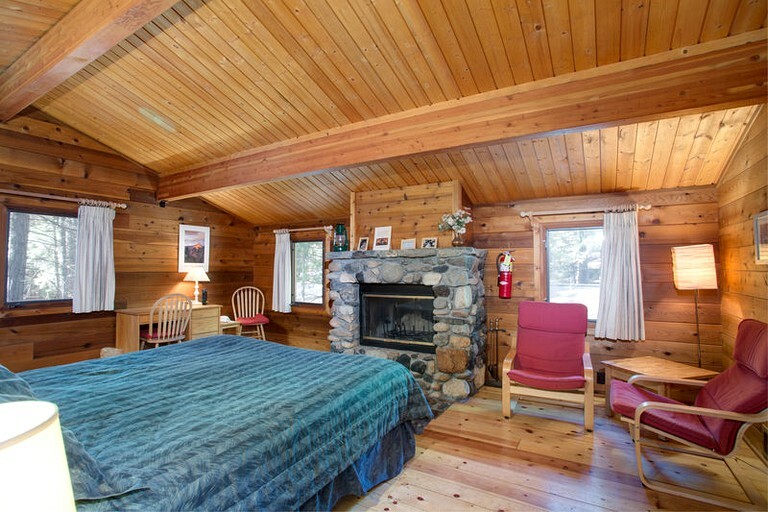 Maximum two pets with an extra fee. 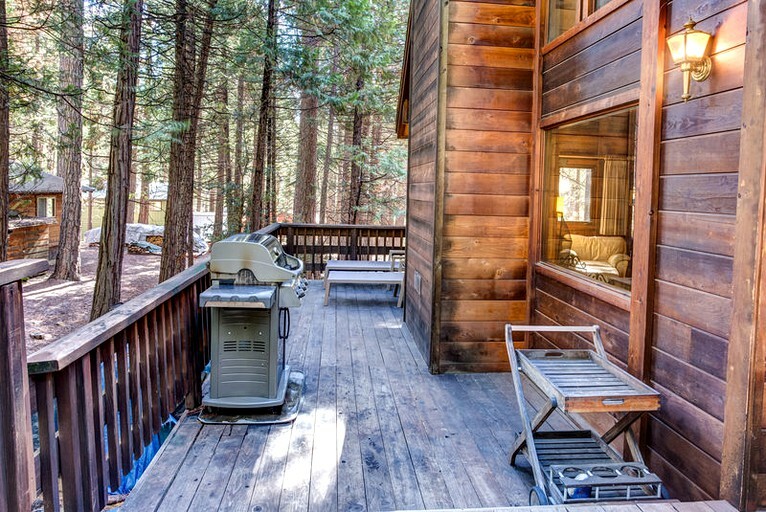 This property is non-smoking and there is a $39 non-refundable Damage Waiver Fee.